In 2014, Jane Enterline completed the Colorado Ocean Coalition's Ocean Ambassador training where participants learned about ocean health and stewardship. As each of the speakers shared their ocean expertise, Jane could not help but think of the Great Lakes and how their water quality is at risk from the same threats as our ocean: plastics and microbeads, gas and oil spills, chemical runoff, and overfishing. She completed the course in June and headed to Lake Michigan to share what she had learned with friends and family. This was the beginning of the GreatLakes Ocean Coalition. In addition to numerous conversations with friends and locals, Jane hosted a Blue Drinks and showed a series of short films on plastic pollution. Since then, the Great Lakes Ocean Coalition has participated in beach clean-ups, educated the community on microplastics, supported local efforts to protect the Great Lakes, and contributed water samples as part of the world’s largest simultaneous water sampling project on microplastics. The Inland Ocean Coalition has since started chapters in Illinois near Lake Michigan and Buffalo, New York, on the shores of Lake Erie. The waters of Lake Michigan drain into the Mississippi River, and the waters of Lake Erie pass through Lake Ontario and the St. Lawrence River en route to the Atlantic Ocean. The three Great Lakes Ocean chapters are an important component of our movement for land-to-sea stewardship. Become a Citizen Scientist and contribute to a Global Microplastic Study! 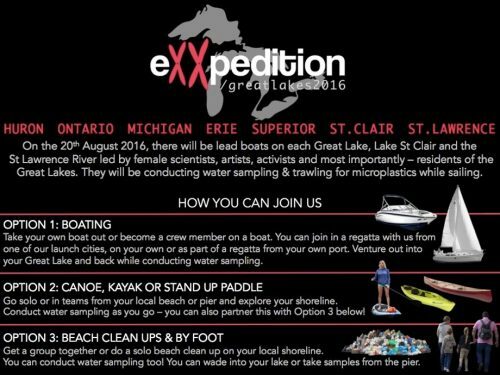 On the 20th August 2016, join eXXpedition Great Lakes on a mission to make the unseen seen and be a part of the world’s largest simultaneous water sampling project for microplastics! Northern Michigan – Please join the Great Lakes Ocean Coalition for cocktails Monday August 1, 6-8 pm. Harbor Springs, Michigan. I have had a busy spring working with the Colorado Ocean Coalition (COCO) and getting ready for another beautiful summer in Northern Michigan. This newsletter has information on the week I spent lobbying in DC, events happening in Northern Michigan this summer, and links to resources and cool things happening related to oceans and inland waterways, with ways for you to get involved. I spent a week in May, with 400 other ocean advocates, from 24 states plus a couple countries, in DC at the Blue Vision Summit. During the ‘State of the Seas’ workshop, we heard from scientists, legislatures, activists, adventurers, and entrepreneurs. We spent Wednesday on the Hill, talking to representatives and senators asking that they support legislation to end Illegal, Unreported and Unregulated Fishing “Pirate Fishing” and legislation to prohibit offshore drilling along the Atlantic seaboard. Inland Ocean Movement in DC. Look to the top of the stairs for the Great Lakes Ocean Coalition banner that you will see flying on Green Flash this summer! The week concluded with The Peter Benchley Award ceremonies honoring ocean advocate leaders HSH Prince Albert II of Monaco and John Kerry among others. “Her Deepness” Sylvia Earle moderated the day. Read more. While I was in DC, I met Margo Pelligrino who is paddling the Great Lakes to draw attention to issues impacting our inland waterways and ocean and to inspire others to get involved. She is paddling every mile NYC to Chicago! You can follow her journey here. Margo will be in Detroit in mid-June and in Chicago in mid-July. I look forward to meeting her in Alpena at the Thunder Bay National Marine Sanctuary and hosting her stay in Harbor Springs. Stay tuned on details as Margo approaches the tip of our mitt! If you are inspired by her trip and can assist with connections and housing along the way, please contact Margo or Jane. You can support Margo’s shoestring budget by making a donation to Blue Frontier at this link. My summer in Michigan kicks off at the end of June with Margo paddling from Lake Huron to Lake Michigan. I will send an email with exact dates and locations, hopefully including a reception in Harbor Springs. On July 6th Green Flash heads to Chicago to race the Chicago Mackinac. We will be flying the Great Lakes Ocean Coalition flag and drinking filtered water. No plastic water bottles on this yacht! This year’s crew: Jane Enterline, Tricia Petzold, Tom Petzold, Tom Post, Nick Post, and Dan Klaasan. You can track the race, starting July 11th, at the Race Tracking tab on the CYC web site. Select the J/105 fleet to narrow your viewing from 300+ boats down to the 22 J/105s racing. Go Green Flash! Whale of a Sale. July 18th. 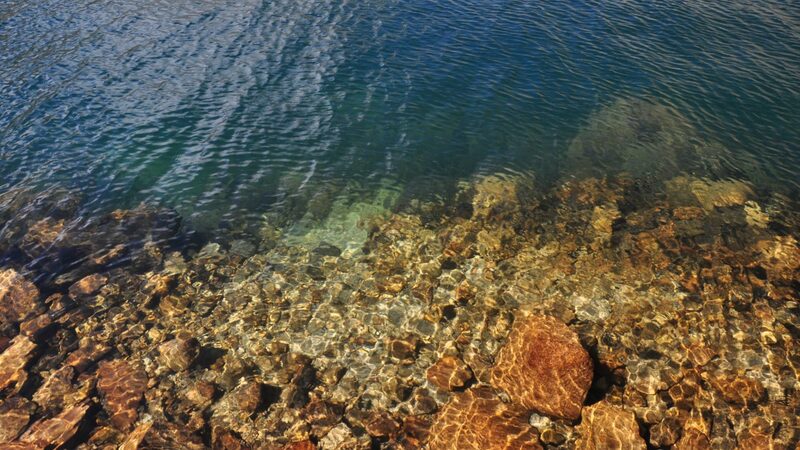 Harbor Springs. Proceeds benefits Tip of the Mitt Watershed Council. Les Cheneaux Wildlife Kayak Ecotour. July 26th. Little Traverse Conservancy. Save the Trees Cocktail Party. July 30th. Proceeds benefit Little Traverse Conservancy. Exploring the Gorge. August 21st. Near Burt Lake. Little Traverse Conservancy. Bear River Clean Up. August 22nd. Petoskey. Tip of the Mitt Watershed Council. Stay tuned for a Great Lakes Ocean Coalition day in early August. Maybe a field trip…maybe a movie night…definitely Blue Drinks! Thanks for MI Reps. Fred Upton (R), Daniel Kidlee (D), and Candice Miller (R) there is bipartisan sponsorship to ban microbeads (HR 1321). Click here to send a letter to your representative. This Free Press article outlines 5 things to know about the Mackinac pipeline. The National Wildlife Federation (NWF) has recommended that Enbridge stop the flow of gas and oil until the pipelines are replaced. This article discusses the NWF findings. Congressman Dan Kildee Announces Additional Bipartisan Support for Resolution Opposing Canadian Nuclear Waste Storage Site Less than Mile from Lake Huron. Read more. Michigan residents have another opportunity to comment on a Canadian proposal to build a deep underground storage facility for radioactive waste within one mile of Lake Huron. Click here. 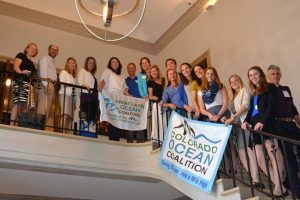 I am thrilled to announce that The Colorado Ocean Coalition (COCO) will conduct a second Ocean Ambassador (OA) Certification Program in September. I was fortunate to be a member of the inaugural class in 2014. The OA Program consists of 40 hours of presentations and discussions on the state of our oceans, ocean policy, solutions, and outreach. Each OA designs a Volunteer Outreach Project. For my project, I created the Great Lakes Ocean Coalition. Believing that this program plays a vital role in citizen awareness and engagement for ocean conservation, I would like to direct all funds raised this summer to the 2015 OA program. You can contribute by buying an exclusive Great Lakes Ocean Coalition water bottle for $20. $10 proceeds go to the OA program. Contact me to buy a water bottle. You can donate directly by clicking on the Donate button to the right. Please mention “Great Lakes Ocean Coalition” in the Comments box. Read more about the Ocean Ambassador program here. Colorado Ocean Coalition, featuring the international Blue the Dive initiative. Colorado Ocean Coalition was recently featured in Scuba & H2O Adventure Magazine. Read the article here, all the way to the end in order to read my quote! Blue Frontier Campaign providing unity and community for ocean activists “seaweed rebels” by supporting projects like The Blue Vision Summit and Margo Pellegino’s paddling. 5 Gyres – leading the way in aquatic plastic pollution and solutions. 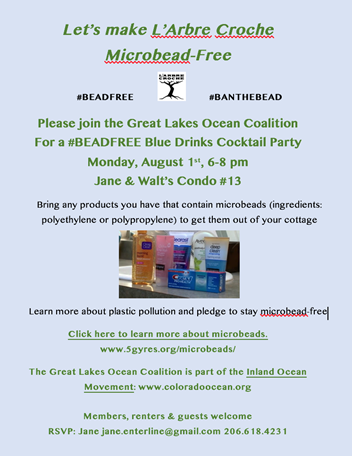 Take the pledge to Ban the Bead! Ocean Conservancy. Check out Good Mate for Boaters: Tips to help boaters keep our waterways clean and healthy. Surfrider – where you can read about Offshore Drilling and sign a petition to urge the U.S. Government to restore a federal moratorium on new off-shore drilling sites. Mission Blue: Sylvia Earle Alliance committed to protecting more of the oceans through Hope Spots. The Ocean Foundation, a unique community foundation that supports Colorado Ocean Coalition and many other organizations dedicated to reversing the trend of destruction of ocean environments around the world.